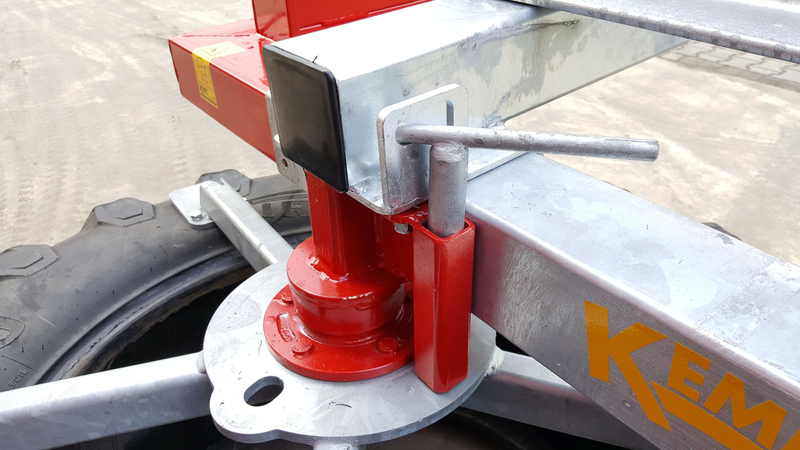 The Silage pushers (also called silage scraper or feed sweeper wheel) from Kemp are simple tools for feeding. 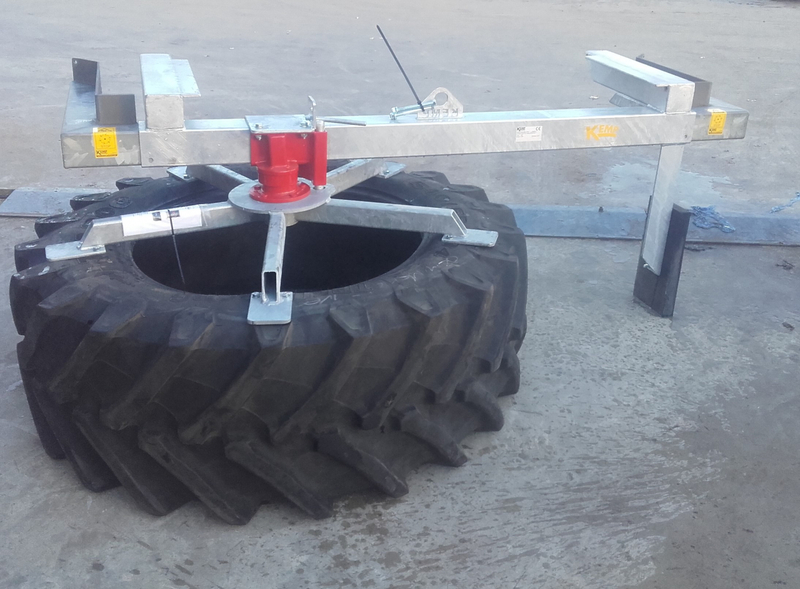 By attaching a tractor wheel to a galvanized star, which is mounted on a wheel hub, the wheel can rotate. Because the wheels are mounted at an angle with respect to the frame, the feed always turns towards the cows. It is possible to lock the belt, so that the belt can be used as a sort of scraper too, for example, shift the residual food. 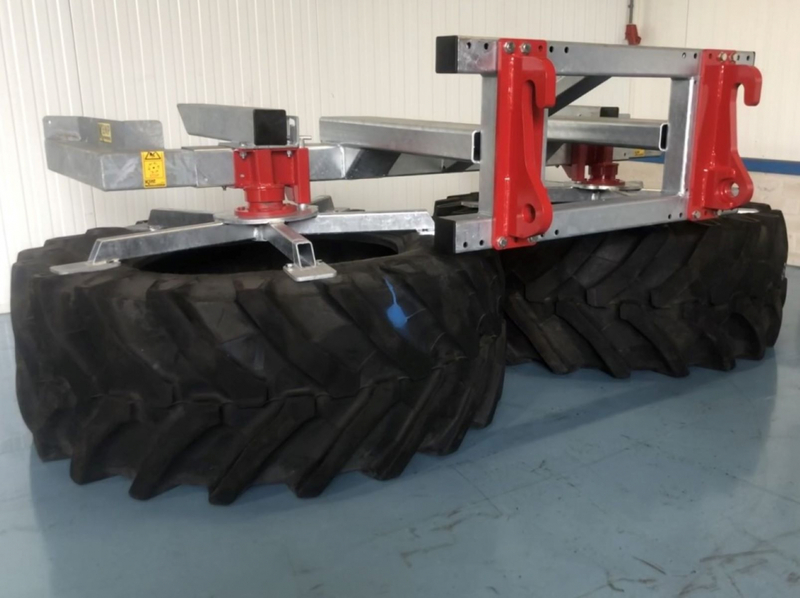 The VVB (Adjustable silage pusher) is available with one or two wheels, the article number for the single version is VVBE and for the double version VVBD. In the adjustable version, the wheel hubs are not welded to the frame, but clamped by means of bolts. 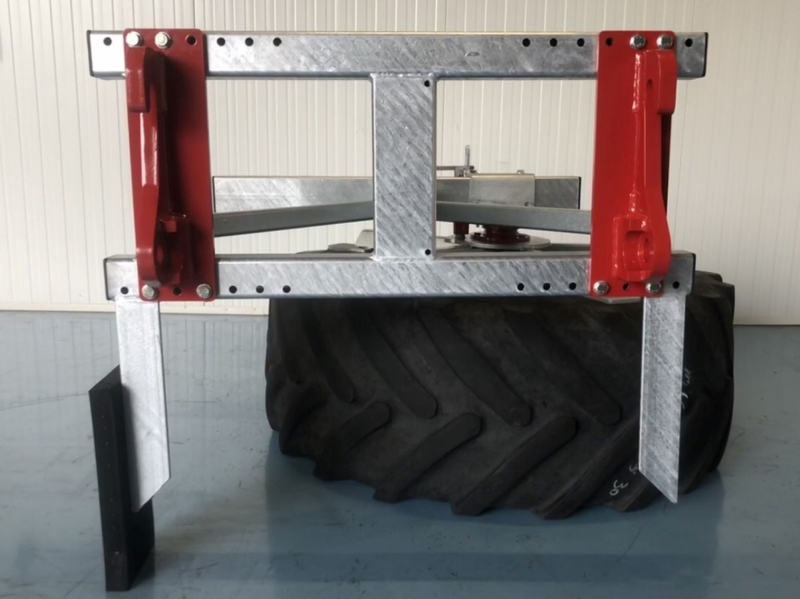 This allows the wheel hubs, including the wheel, to be moved over the frame. This is necessary if wider wheels are fitted. 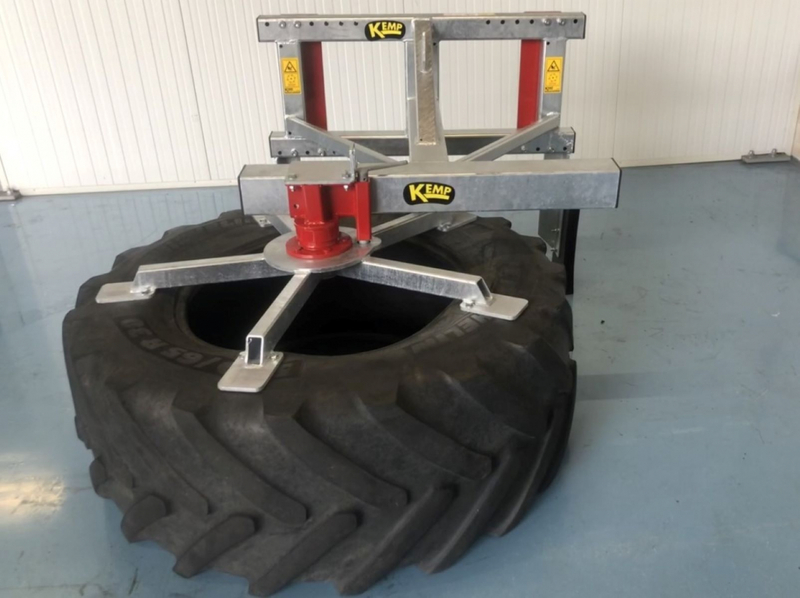 The adjustable variant is completely galvanized, except for the wheel hub. As a result, the steel is not sensitive to influences of weather or feed. 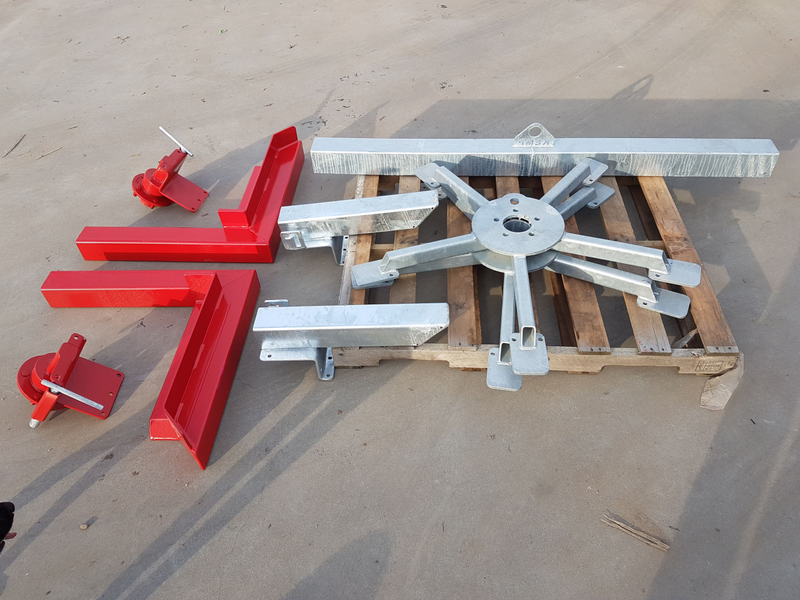 The adjustable silage pusher is delivered assembled. For a reduction in price you can choose to order the VVB as a kit. 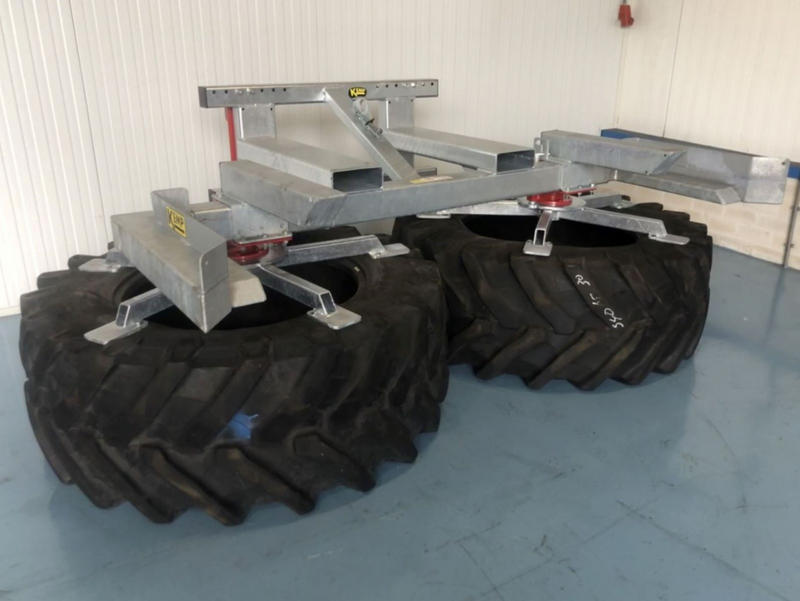 The necessary parts are delivered on a pallet, so that you can assemble the silage pusher yourself. 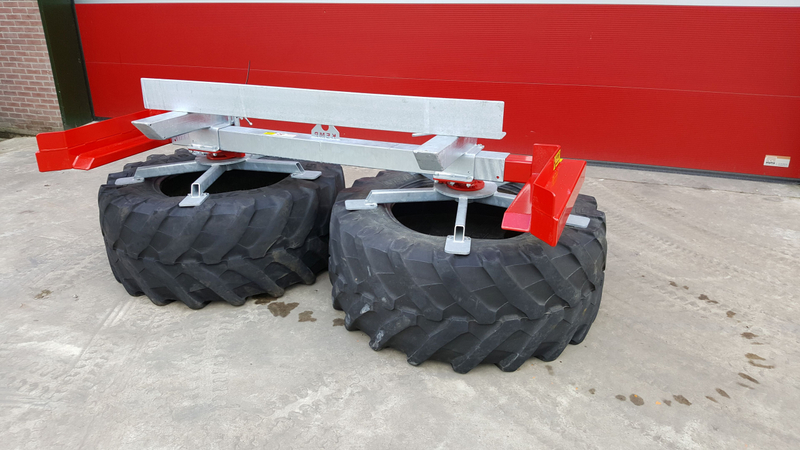 When ordering the adjustable silage pusher, we ask to pass the vehicle width and bucket width. 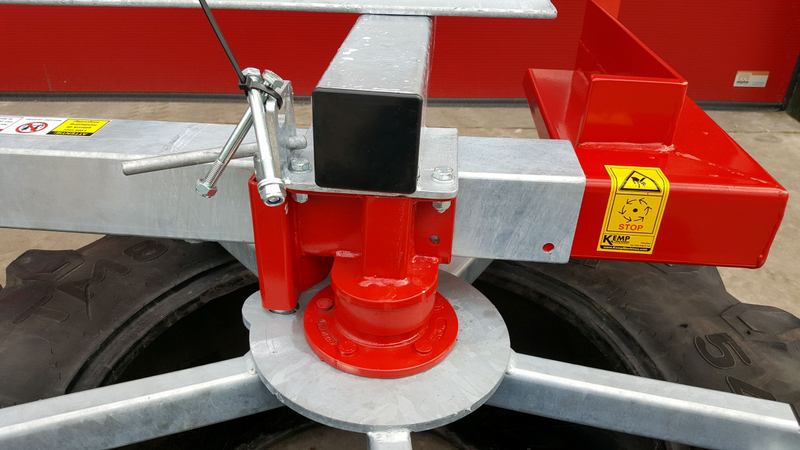 Subsequently, we ensure that the wheels always protrude 20 cm per side with respect to the vehicle or the bucket (whichever is wider). It is important that the feed is placed next to the vehicle. 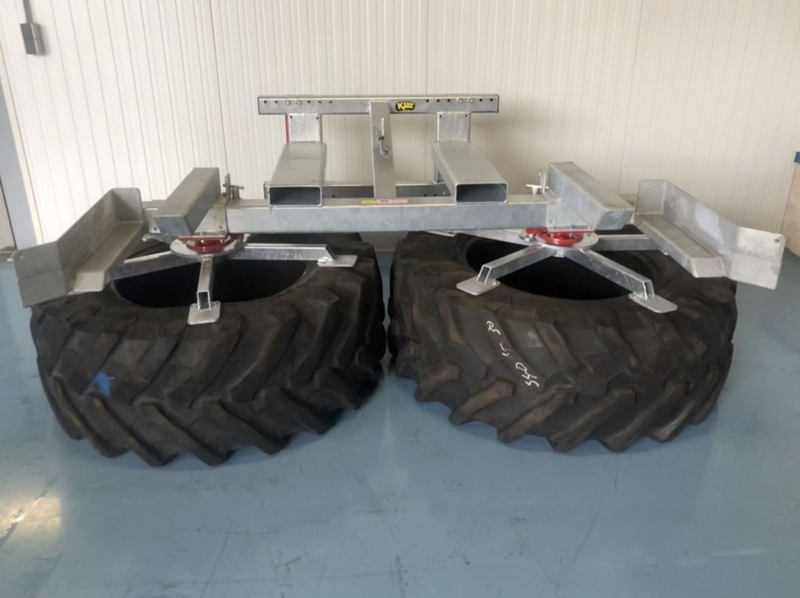 The minimum margin of 20 cm is also important because the feed will fall a little bit further through the rotating tires. 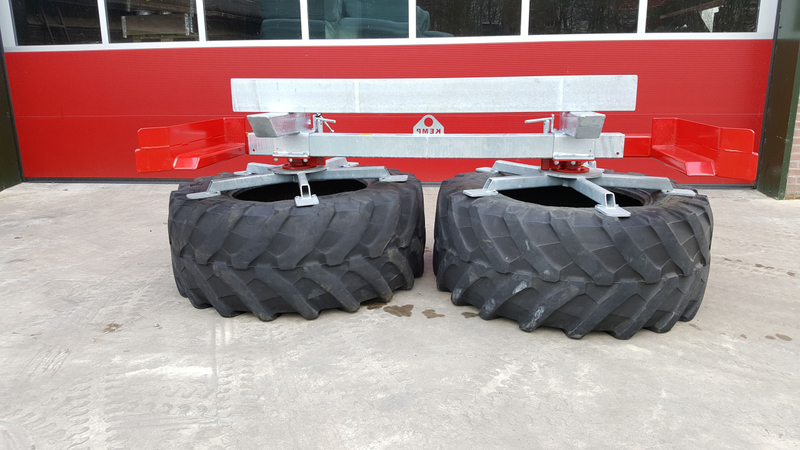 On the basis of the bucket width, we can supply the correct connection. The sides of the bucket connection are adjustable, so that the feeding belt remains usable when you purchase a new bucket. Steel angle to clamp with top clamp of the bucket.